As tricksy free-to-play models go, Hearthstone’s is low-cost. Oh sure, building an Arena-ready deck can require significant investment. But between Practice mode and the Curse of Naxxramas campaign, there are plenty of cheap opportunities to bulk up a competitive card collection. Blizzard have been “generous” – deliberately so. 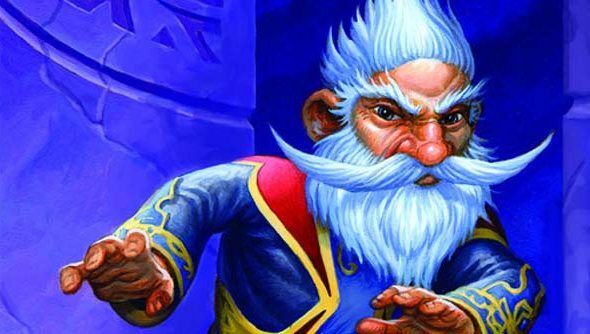 Feedback from Hearthstone players has overwhelmingly indicated that its pricing is “very generous”, said Woo. His ten-year-plan was echoed by production director Jason Chayes in a chat with GamesIndustry. “We talked about this idea of [hero/villain discriminators] white hat, black hat from Westerns, and one of the goals we set for ourselves was that we wanted to do microtransactions with a white hat,” said Chayes. Here’s to Hearthstone’s 10-year reign. Just a month ago, the Curse of Naxxramas campaign brought the CCG its “strongest week ever” – and the Hearthstone dev team has lately grown from 15 staff to more than 30. Meanwhile, Blizzard have “six or seven” World of Warcraft expansions planned – enough to take us through to 2024. The oceans may rise and the lands burn, but there’ll still be PC games coming out of Irvine. You happy about that?